From the very first order, their love of surf brands and the coastal lifestyle that they lead provides shoppers from around the world with a high quality and unique experience. 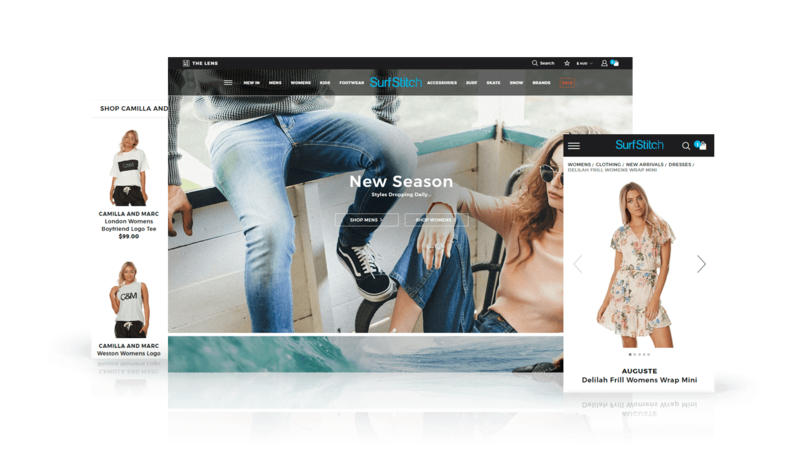 SurfStitch believe in both style & substance, so we have made sure that the great look of our site is backed by great functionality that provides the best possible experience. 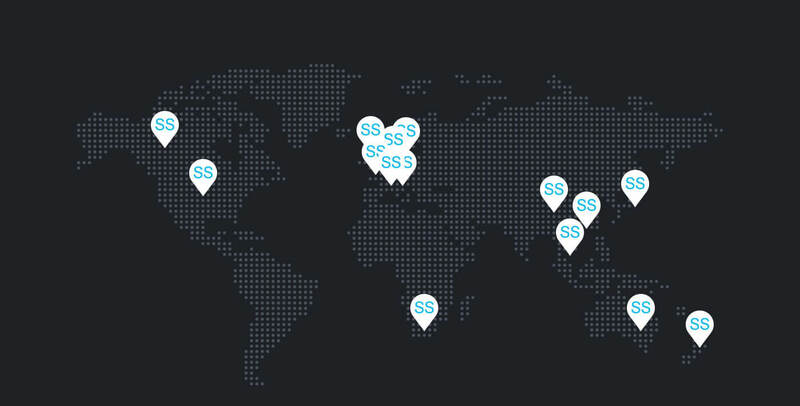 The multi-site and mobile first platform and implementation ensures that their site is accessible and available in 15+ regions and the framework in place allows for a new region rollout in just weeks to meet growing demand. 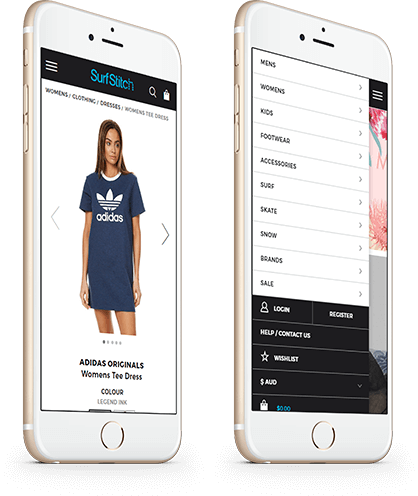 All of these features were implemented to create a sophisticated and intuitive experience that can grow and expand with the SurfStitch team and future goals. Product detail pages have been designed so our products have the spotlight with images and key details above the fold & detailed information presented in tabs. Bonus product selection has been streamlined in the cart to create the smoothest customer experience possible and reward customers with every purchase. 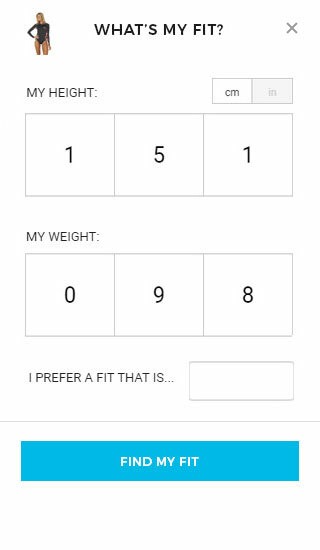 Find my fit is a sophisticated size guide system implemented to help customer find the right size without the hassle and reduce the number of returns attributed to the wrong fit. The customer service team are highly trained and typically respond to all enquiries within 6 hrs on average and 2 hours during business trade to quickly resolve issues as they arise. In addition, staff are locally based in Burleigh Heads and live & breathe surf culture, so they can help you with anything from directions on waxing a board to best fit of a pair of Birkenstocks. 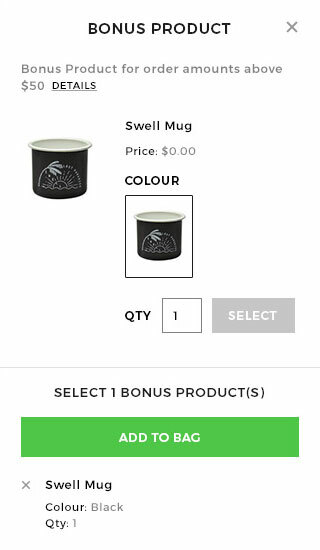 SurfStitch offer free gift with purchase all year round and have frequent sale offers to make sure our customers feel appreciated and get the best bang for their buck. They also pride ourselves on transparency, so they co-brand products when promotions are activated. For example, in a promotion where you get free socks with full price pants, both products are marked this way so you don’t buy the socks without knowing about the offer. These offers have created a loyal base of customers which resulted in over half a million orders being placed in 2016 by repeat customers. All orders made before 2pm are dispatched same day, enabling us to offer next day metropolitan delivery. 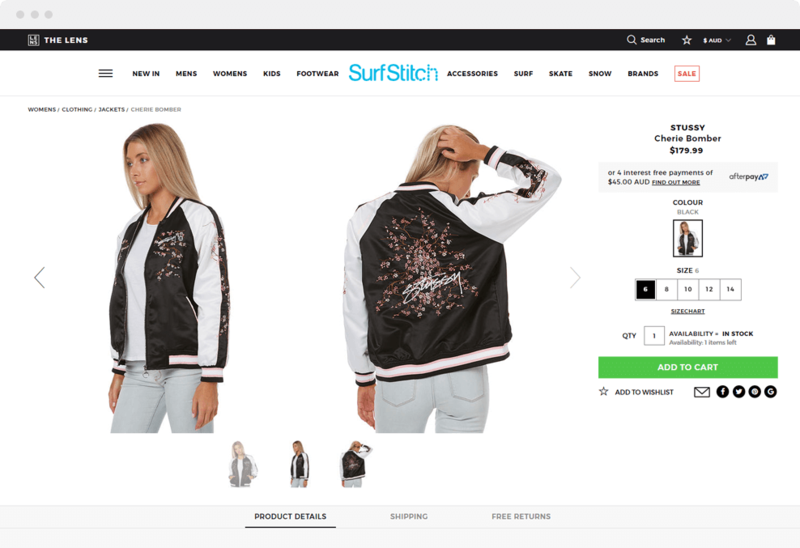 SurfStitch also offer free shipping on all orders over $50 and free delivery on all international orders, incentivising global growth. They also perform daily delivery reviews to ensure our carriers are meeting both the Surfstitch team’s & customer’s expectations. 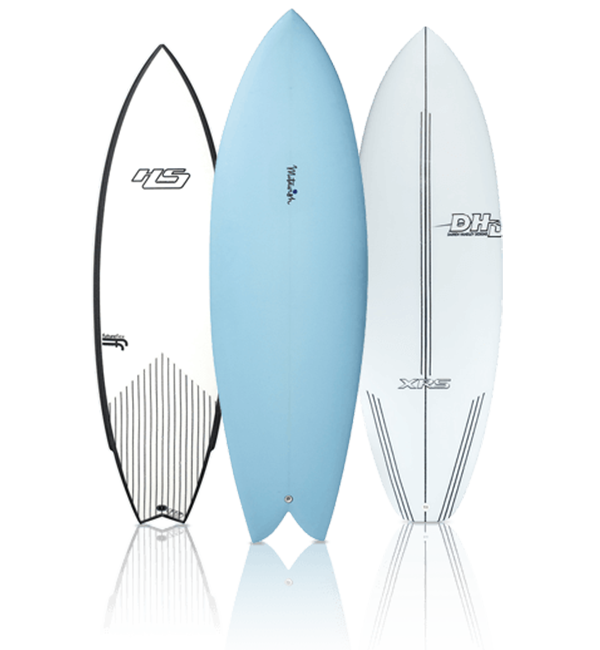 With free 100 day return policy and correct size promise, SurfStitch are able to offer our customers to exchange sizes free of charge to make sure they get the right fit every time. With over 6000 return outlets open 7 days a week through their partnership with ParcelPoint and home collection options, customers don’t even need to leave the house to return their goods. We are really excited to see how shoppers use the site and will continually look at what new functions and capabilities can be integrated to provide our customers with an industry leading experience.